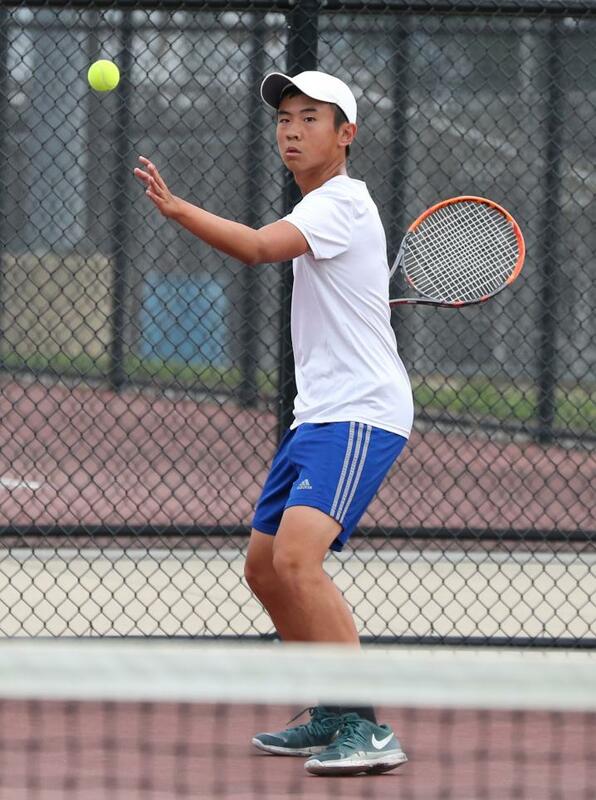 You would think Alvin Wang would have been playing tennis for a while to get as good as he is now, but he has only been playing since seventh grade. Also, when he started in seventh grade, he didn’t really take it seriously. He just played for fun with friends, but once he got to high school he started taking it seriously. Now, Penn Kingsmen opponents have to take Alvin Wang seriously. He helped lead the Kingsmen to a Sectional Championship. Wang always looks forward to tennis season every year. He loves being on the courts with his teammates, because it has created some of the best experiences he’s had. It is also very important to him to practice during the offseason so he can look back and see how much he has improved. This season, Wang was named a captain for the Tennis Team. He said that he feels honored to be a team captain. It is a big responsibility being a role model for the younger teammates. It also gives him certain level of authority on the team, but he is responsible and doesn’t abuse it. He also has to set a good example for future team captains. Wang also takes his academics, and other extra-curriculars seriously. He is in National Honor Society, various Academic Super Bowl Teams, Freshman Mentoring, and Chinese Club. Working hard in school and in his extra-curriculars have really helped him. When he graduates this year he is planning on going to Purdue for pharmaceutical science.